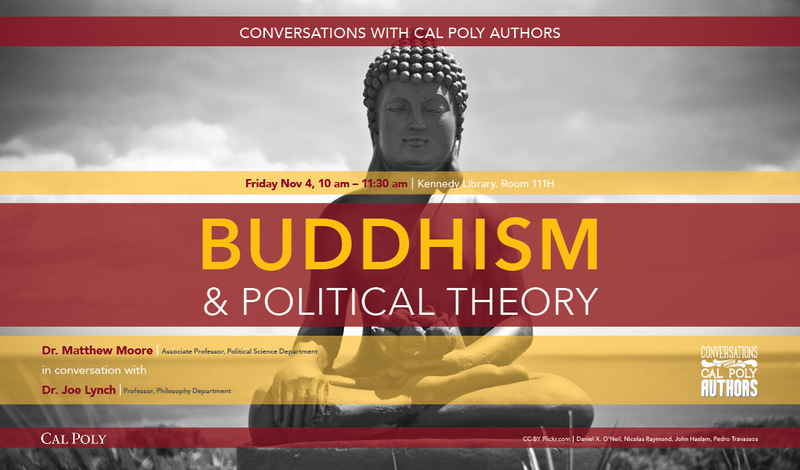 In this fall quarter’s “Conversations with Cal Poly Authors,” Matt Moore, associate professor of Political Science, discussed his new book, Buddhism & Political Theory, with Philosophy professor Joe Lynch. 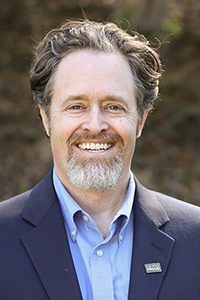 Matt Moore began examining the intersections of Buddhism and politics after discovering a gap in scholarly work about Buddhism’s political teachings. He has practiced Buddhism since 2004, after the challenge of completing his graduate dissertation led Moore to begin meditating. By combining his personal passions and expertise, Moore has developed a unique perspective. Joe Lynch is an accomplished martial artist, who has authored a chapter titled, “Buddhism, Daoism and Dudeism” in The Big Lebowsky and Philosophy. Together, Moore and Lynch explored Buddhism’s political lessons with good humor and insightful ideas. Read more from Mustang News. Listen to their entire conversation on SoundCloud.